Best Grout Cleaning Brush for cleaning grout with great results! 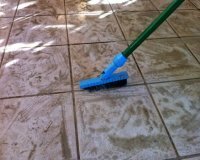 We know that looking at dirty grout lines day after day, can make your whole floor seem dirty, and that mopping them only seems to make them worse. When it comes to cleaning floor grout, there is no way around having to scrub them. It takes good ol' elbow grease to get them looking clean again...and a great grout brush. From our experience, we have found the grout brushes with softer bristles work best for cleaning dirty grout. We have bought and used grout brushes with hard, stiff bristles, but found they just don't work well at loosening the dirt on the grout. If you let your grout cleaner dwell long enough, using this soft bristled grout brush will clean grout just fine. Once you've decided on what grout cleaner to use, apply the solution to the tile and grout liberally. Allow the solution to dwell from 15-30 minutes. If it's a large area to be cleaned, clean a small area, say 100 ft2 at a time, so not to overwelm yourself. 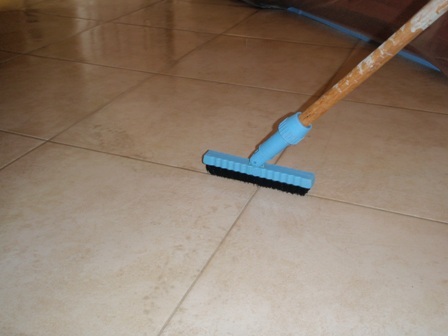 After allowing the grout cleaner to dwell and emulsify the dirt and other contaminants, begin the scrubbing process. While scrubbing the tile and grout, keep them wet and be sure to take frequent rests and hydrate yourself by drinking lots of water, because it can be hard work. After you've finished scrubbing, mop up the dirty solution and rinse with warm water. Dry the floor as best as you can with dry cotton or microfiber cloths. You now know how to clean grout. If the tile and grout is still dirty, you may need to repeat the process or change your grout cleaner. Now that the tile and grout is clean, it should be sealed with a good grout sealer. Keeping your grout sealed, will help keep out unwanted stains absorbing into the grout. 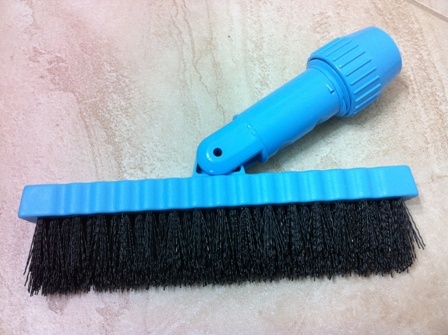 This is the tile and grout cleaning brush we use everyday, so we know it works well!